Sicily is steeped in sun and history, an ancient blend of cultures that have grown together in the warm Mediterranean for eons. 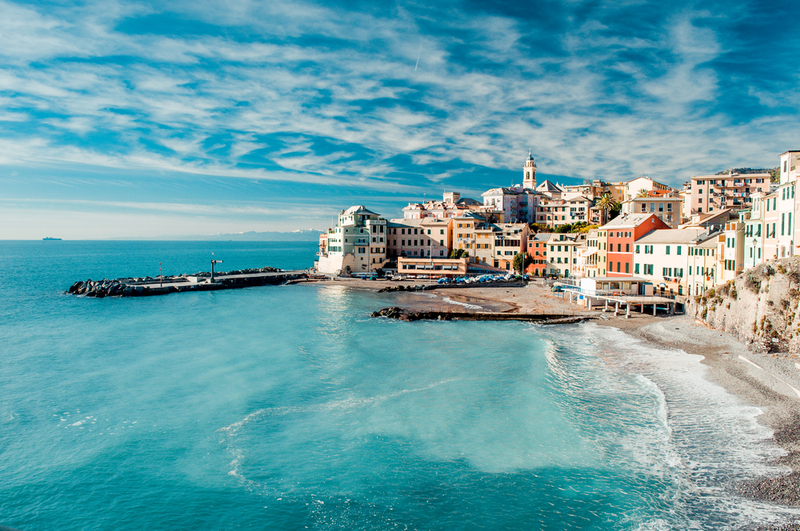 It’s certainly a part of Italy, but it has a profound flavor all its own, a beautiful mess of artifacts and vital, tight-knit communities, all against a backdrop of olive groves and monolithic wonders. 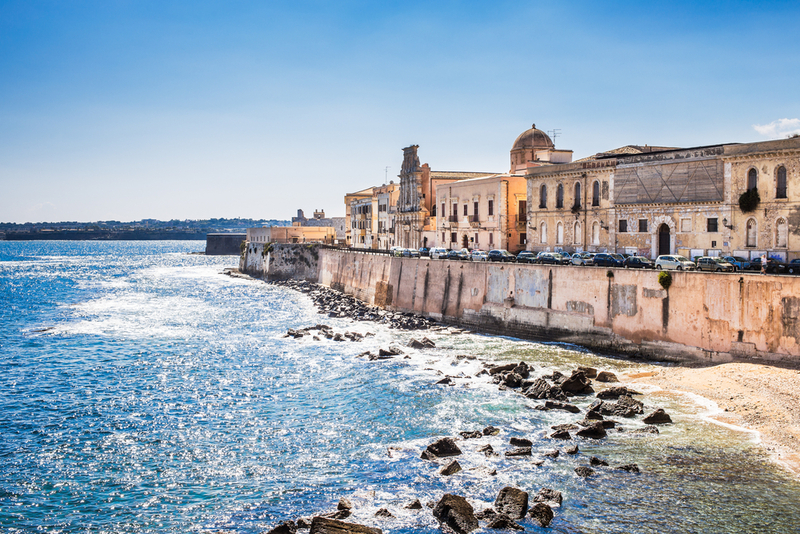 Kicking off from the mainland and landing on this shaky volcanic ground could be the best thing you’ll do on your European tour, consider these things to see and do in Sicily. 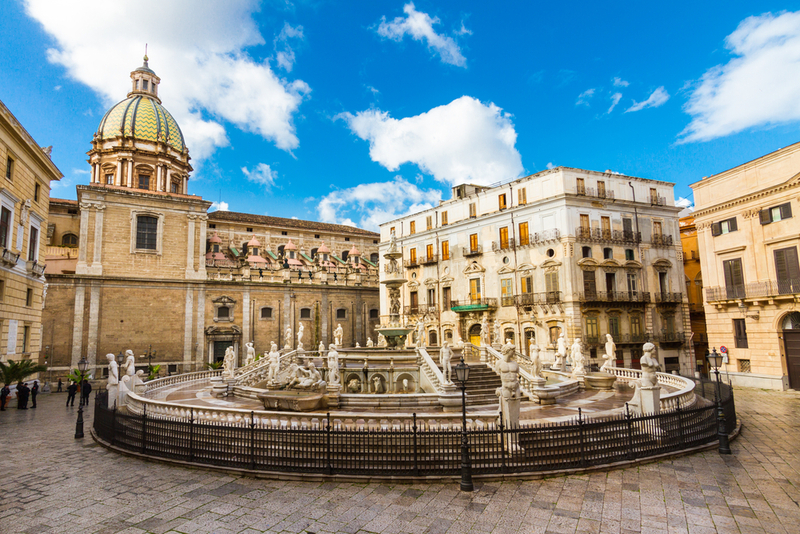 Any visit to Sicily should include a stop in its capital, a bustling center with a proud and storied past that shines through the Norman, Baroque, and Moorish architecture. Palermo was once Europe’s multicultural hotspot, home to Jewish, Greek, Persian, and Arab communities, and it’s still one of the most vibrant and versatile cities in the nation. Visit the historical markets of Vucciria, Ballaro, and Borgo Vecchio to get a taste of the abundant local cuisine and the colorful cultural interactions. Check out the Palace of the Normans and the Palatine Chapel, splendid buildings that betray the tastes of Sicily’s different rulers through the centuries. 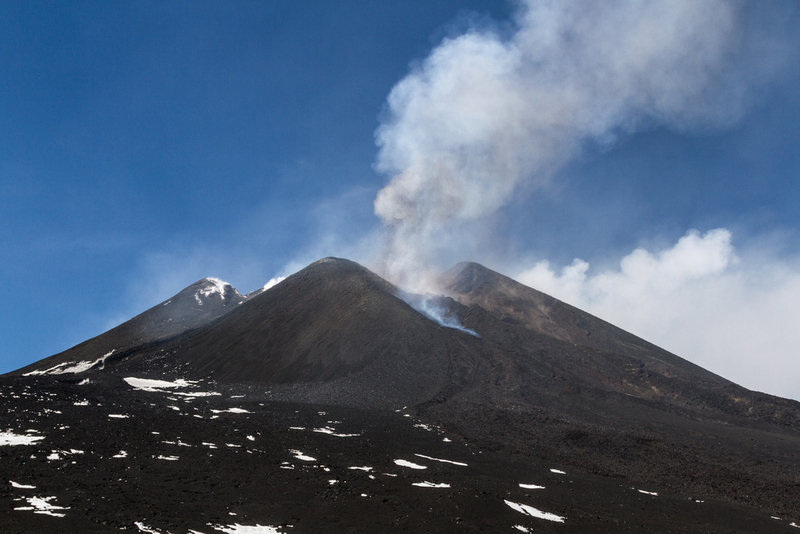 The island’s iconic volcano is also its highest mountain, serving as the backdrop for the city of Catania. 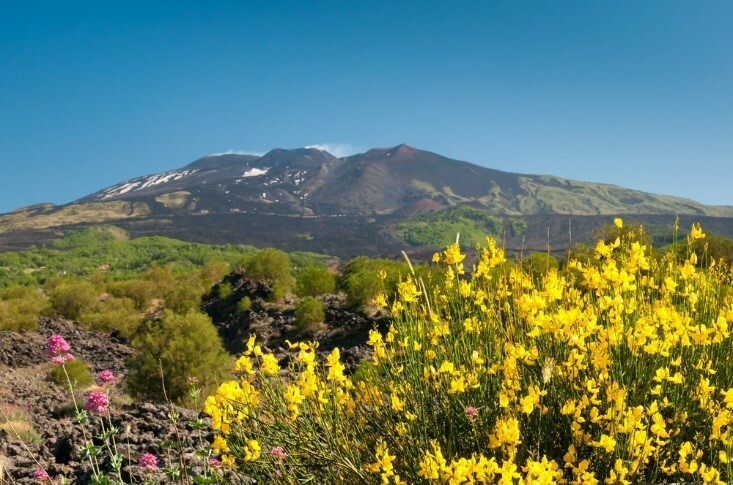 Mount Etna is still active – eruptions have been ongoing since 2001 – and although it’s been a while since the last violent volcanic event, the numerous vents and relatively moderate lava temperatures make it difficult to predict where and when the next one will occur. But this isn’t all that Etna has to offer. Visitors may come for the volcano, but they’ll stay for the lush forest, array of wildlife, and numerous hiking trails that lead through this profoundly unique landscape. 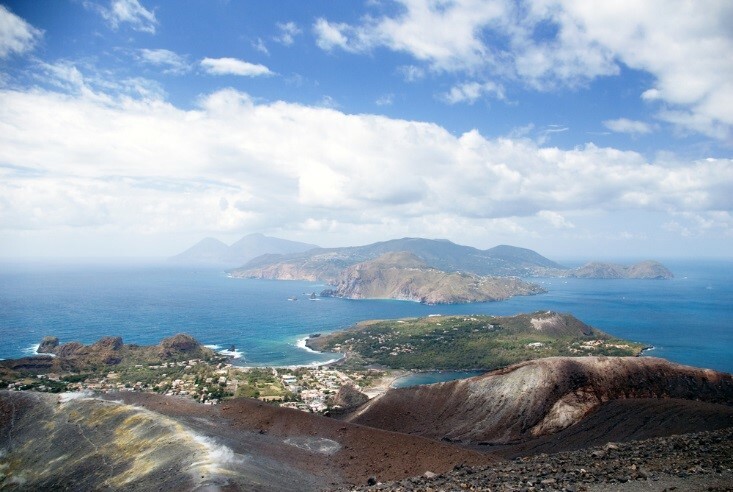 A beautiful archipelago off Sicily’s north coast, the Aeolian Islands combine rugged coastline and volcanic landscape with lush forest and diverse marine life. 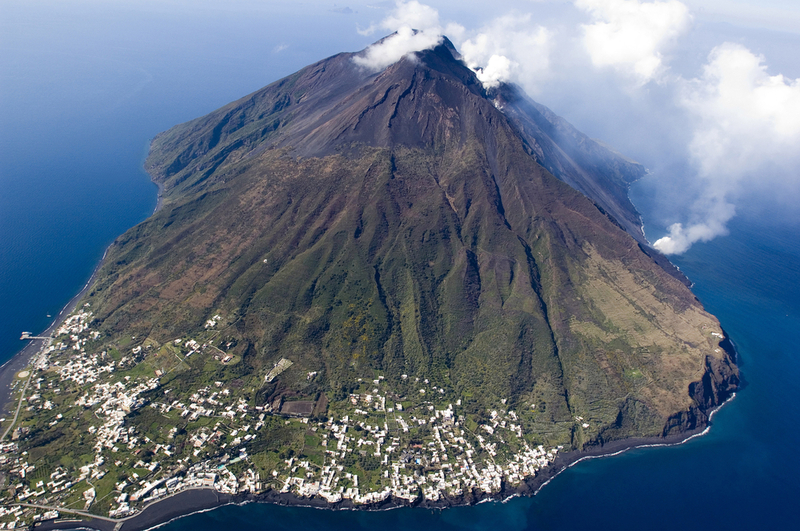 This is a changing and delightfully varied slice of the region, with a little bit of adventure and lots of flavor on offer: not surprisingly, the seafood is delectable, and there are plenty of ways to work off the feast, from diving off the coast of Filicudi to hiking through the green landscape lining the volcanoes of Salina. Summertime brings boatloads of tourists, especially to the most developed island of Lipari. A verdant landscape of orchards and olive groves surrounds this impressive archeological site, known as “The Valley of the Temples”. Several Greek temples have been unearthed, including the astounding Temple of Concord, which stands in almost perfect condition. Around the temples, you’ll find ancient streets, houses and amphitheatres, a crumbling vision of 6th century BC life. 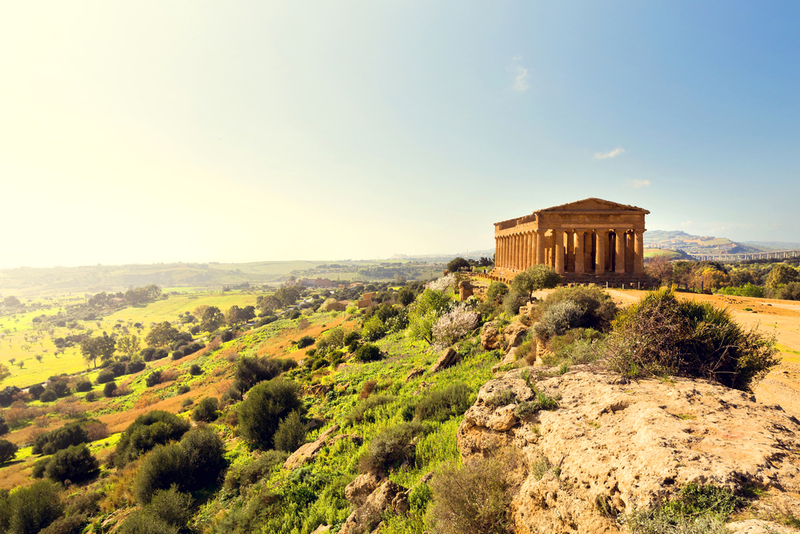 The ruins aren’t the only draw to Agrigento: come in late February for the folklore-laced almond blossom festival, or take in the wildflowers and nearby beaches a little later in the spring. This famous 12th century cathedral stands on a hill overlooking Palermo and the adjacent valley, with an interior that’s just as impressive as the view from the terrace. Pointed Arab windows compete with Gothic rose windows, and there’s a host of other Norman, Byzantine, and Arab architectural features, crowned with soaring arches. 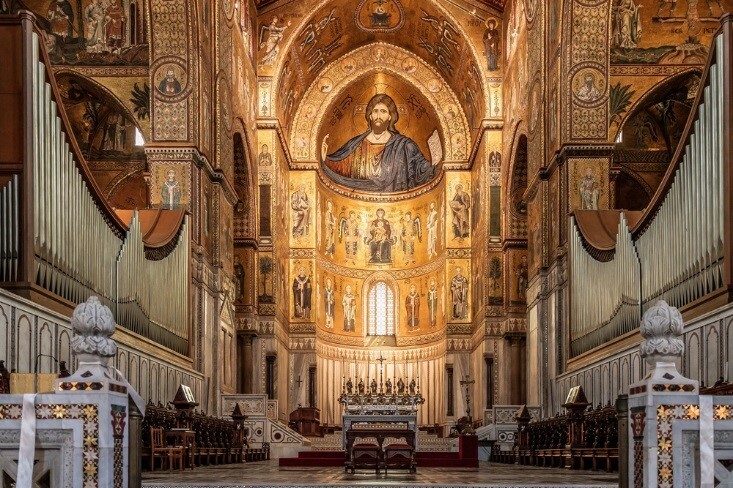 The 12th and 13th century mosaics are the star attraction, wrapping around the entire nave and apse, depicting the cycle of the Old Testament and ending with a 66 foot mosaic of Christ Pantocrator. The sense of spiritual peace and tranquility of the cavernous interior is complemented by a garden terrace that brings a warm, exotic flavor to the complex. A Corinthian settlement founded in 734 BC, Siracusa has ancient roots but a wonderfully modern perspective. It’s elegant, cultured, and beautiful, with a charming network of narrow streets running alongside ancient temples and the monumental archeological park. The town has been carefully restored, and expertly memorialized: visit the Museo Archeologico Paolo Orsi for an eye-opening lesson in the cultural history of the region before checking out the cathedral (once the Temple of Athena), the Judaic mikveh, and an authentic trattoria for a delicious meal. 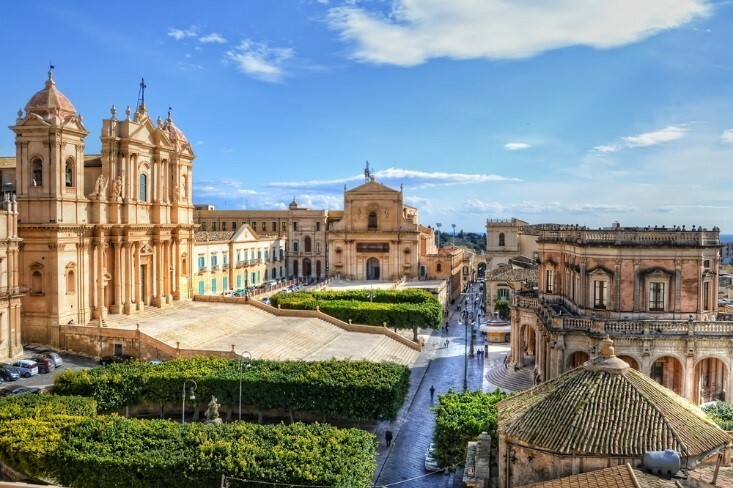 Noto is the quintessential example of the Sicilian Baroque style, a town completely rebuilt after the destructive earthquake of 1693 to extremely specific – and majestic – specifications. Churches and monasteries are formed out of golden colored stone, and the façades lining the wide squares are brimming with flourish and filigree, especially the Palazzao Villa-Dorata, its balconies decorated with lions, monsters, and cherubs. It’s a town of architectural splendor, which makes it a perfect setting for long strolls along the avenues and dining al fresco among the pillars, terraces, and arching windows. 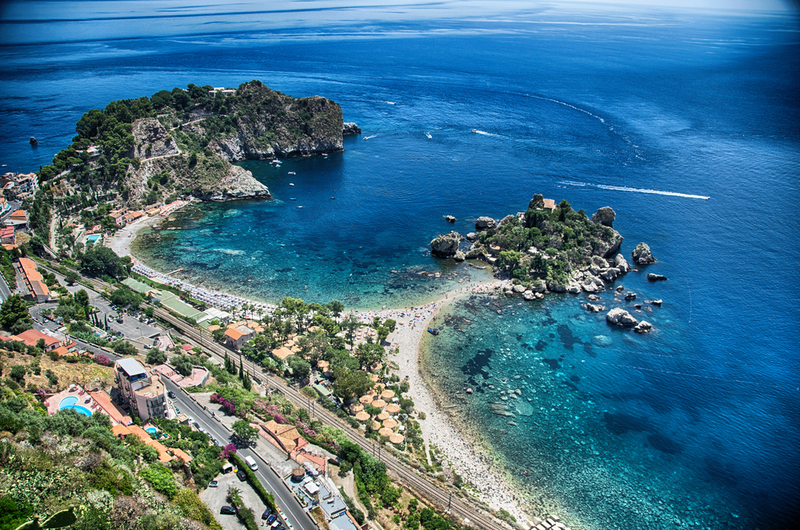 A colorful resort town balanced on a ridge overlooking the Mediterranean, Taormina draws people from every corner of the island for its restaurants, shops, and beaches, punctuated by plenty of historical artifacts. The Greek amphitheater is still used for concerts and plays, and old town is still enclosed by medieval stone walls. If you like castles, you’ve come to the right place: several monumental castles stand in the city, and nearby Castelmora has even more medieval splendor to offer. Art and nature blend seamlessly here, which promises a rich experience, but you might find it more enjoyable after the summer ends and the clusters of tourists depart. Since many of Sicily’s sites are nicely strung around the perimeter of the island, it makes good sense to travel in a circle. 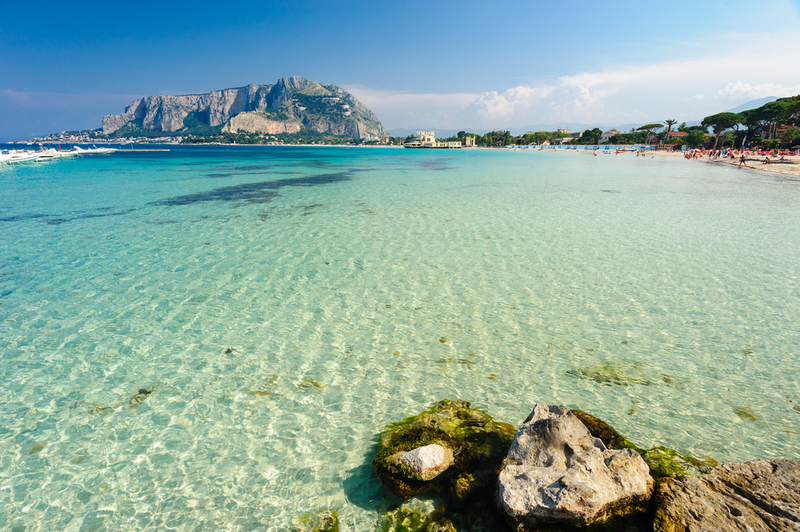 Palarmo is a natural starting and ending point, but you can craft your itinerary to mesh with your own travel style – it’s easy and pleasant to move around Sicily in any direction!